Many iPhone users rely entirely on the iPhone as their camera of choice, so why not take the best pictures possible? That’s what these Camera app tips are for, helping you snap better photos and making you a better photographer by taking advantage of some of the wonderful features that are built into the camera app. 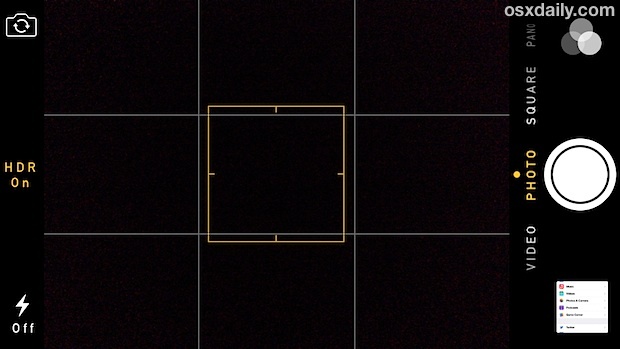 The optional grid is overlaid in the viewfinder of the Camera app when taking pictures, and regardless of your photography skill level it can help you get better composition by making it easier to follow the rule of thirds. It certainly takes practice to master composition, but using the Grid really helps and it’s pretty much guaranteed to help anyones pictures. 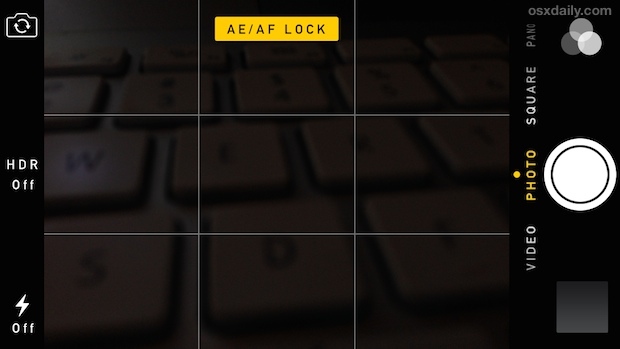 Remember, this feature actually locks both the exposure and focus together, so it can be used for mastering challenging depth situations as well. Panorama mode is fairly simple but here are two additional tricks: you can switch shooting directions with a tap and, lesser known, the Panorama Camera can also be used vertically too, which is great for taking shots of anything tall or long, whether that’s a picture with your mom next to Yao Ming, a multi-story building, a long road, or a tall tree. The burst feature works best on newer iPhone models, but it can still function to capture action and rapid-fire images on older devices too, just not as quickly. Aside from the obvious uses with action shots and moving objects, Burst Mode is also good for portraits to capture subtle changes in expression, and on a lighter note it’s fun because you can combine the images later into animated gifs or an action-oriented slideshow. You can learn more about the burst feature here. My personal preference is for black and white (which you can also transform images into b&w after the fact using the same filter tool), but the other bundled effects are nice too. 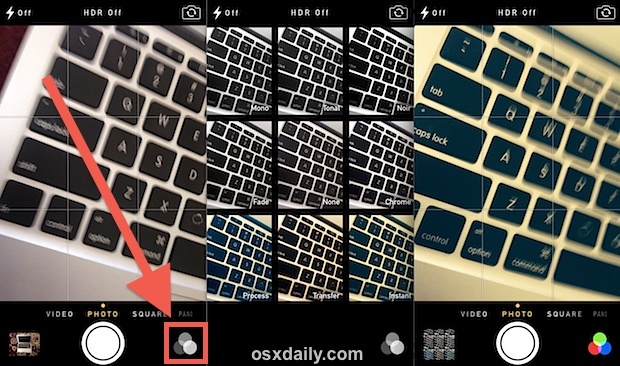 There are 8 total alternate filters built into the Camera and Photos app of iOS, so just try them out have fun. Going beyond the built-in filters and color effects, you can do more advanced post processing with third party apps. iPhoto and Photoshop for iOS are some common choices, but the free Snapseed app is an excellent choice, as are popular apps like Afterlight and VSCO Cam. The iPhone is my camera, has been for years now. I don’t want to lug around a little pocket cam, who does? Nobody. Only alternative is an DSLR, but those are huge! Who want’s to bring that? I thought burst mode was only for the 5s? 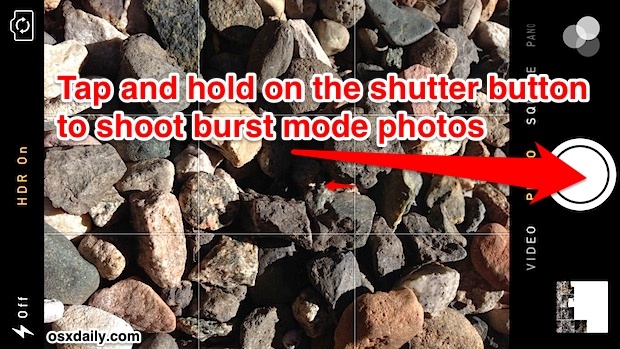 Burst mode works best on the newest iPhone models, but it does work on prior models as well. Burst is still quite fast on the iPhone 5 and 4S and works great for action shots or portraits, try it out! On the 4, it will just take pictures in succession, perhaps still faster than one could tap the shutter button. A great camera tip used to be that you could hold the camera shutter button, then finally release to take the shot. This made for fewer blurred shots, as most of us assume that we tap to take the shot — but it’s the tap action that can often shake the phone enough to blur the shot. I learned this behavior to take better pictures, but now I’m always being caught by surprise since holding before a shot now initiates burst mode. It’s taking me longer than I thought to unlearn this habit.